Top Foods and Supplements for a Powerful Heavy Metal Detox! Is there a natural way to detox from heavy metals? Because of the amount of heavy metals contained in our food, water and air these days, a condition know as toxic heavy metal overload has now become rampant. Heavy metals such as fluoride, mercury, lead, uranium and cadmium accumulate in the body over time and if they're not flushed (chelated) out, they eventually cause horrible degenerative diseases such as cancer, heart disease and Alzheimer's disease. But thankfully, you CAN give your body a strong heavy metal flush every day so these harmful substances don't accumulate and wreak havoc on your body. #1. Chlorella: This incredible green algae contains high amounts of chlorophyll, which is a very potent antioxidant, detoxifier and heavy metal flushing agent. Chlorophyll also "oxygenates" the body (positive pH). Diseases such as cancer and heart disease cannot thrive or even survive in an oxygenated environment. Chlorella specifically seeks out and binds to heavy metals and removes them from the body. Following the dropping of nuclear bombs on Hiroshima and Nagasaki in 1945, Japanese researchers found that by giving 8 grams of chlorella daily to people who were exposed to the radiation, they were able to increase the elimination of uranium, lead and cadmium from their bodies five-fold! More recently, the Japanese have been using chlorella as a detoxifying agent after the Fukushima disaster. Another study performed on mice also showed that chlorella supplementation doubles the removal (chelation) rate of mercury from the body. You can purchase chlorella in either powdered or tablet form from most health food stores or online from places such as Amazon.com. For dosage amounts, follow the directions on the container. #2. Cilantro (Coriander): Cilantro is an excellent synergistic aid. It works particularly well for detoxing and removing heavy metals when combined with chlorella. Cilantro is known to kill the dangerous salmonella bacteria and easily removes mercury. It's also a potent anti-inflammatory and antibacterial. You can either grow coriander in your own garden and consume the leaves and seeds, or purchase coriander seeds specifically. Take a teaspoon with your chlorella. #3. Borax: This is probably one of the least known natural remedies and treatments for heavy metal detoxification, but it's actually one of the best! that contains fluoride, taking "human friendly" borax every day (such as this one), is a powerful way to rid yourself of this deadly heavy metal. Here's everything you need to know about the borax protocol and how to use it effectively... The Borax Conspiracy. #4. Turmeric: Turmeric is one of the standard Ayurvedic medicinal treatments for heavy metal detox. It contains some the strongest antioxidants of any spice known to man. These antioxidants are also able to attach themselves to heavy metals and drag them out of the body. #5. Garlic (Cloves): Garlic helps to boost detoxification in the body by increasing the production of white blood cells, which in turn enhances immune function. It contains the antioxidant allicin, one of the most potent recently discovered. Crush up a fresh garlic clove then swallow (washed down with a glass of water) twice daily. #6. Bentonite Clay: Bentonite clay is a form of volcanic ash that can remove up to 25 times its weight in impurities from the body. You can either eat it or add some to a hot bath (or preferably both) to quickly and easily remove toxins and heavy metals. It's definitely one of the best ways to give yourself a powerful internal and external heavy metal cleanse. Here's some of the best bentonite clay formulas on the market to use... Bentonite Clay Internal and External Detox. In addition to these, don't forget to eat plenty of organic fruits and vegetables for extra antioxidants. Making yourself a delicious fruit and veg smoothie every morning is a great way to start the day and initiate the detoxifying process. It works a treat! So these top 6 natural and herbal remedies, used daily, will not only rid your body of all the heavy metal accumulation that's built up over the years, they'll also help to keep your body free of deadly free radicals and pro-oxidants. The benefits of this include more energy, less sore muscles and joints, and better mental focus and clear thinking. 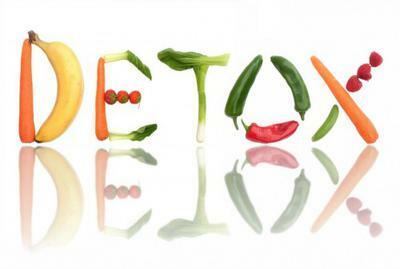 Just remember that with any detox, the first week or two can sometimes be a bit rough while your eliminatory organs work to rid the body of toxins. However, you need to view this as only a temporary inconvenience because once the detox is complete, you're going to feel better than you've felt in a very long time! So what are you waiting for? Get going and give them a go! Comments for Top Foods and Supplements for a Powerful Heavy Metal Detox! In your opinion what are the best capsules of Chlorella & Spirulina I can buy on Amazon? Also, on another note, I am currently taking the following for eye care. I am 43 and started needing reading glasses and objects are blurry when they are too close. I am taking 2 of each a day. Are these ok or should I be taking something else ? This is the best chlorella/spirulina supplement in my opinion... 2 in 1 Chlorella & Spirulina Tablets. The chlorella is broken cell wall chlorella and both come from an unpolluted source in Taiwan. Both the eye care supplements you mention also look very good, and together, make up a great combination for getting your eyesight back to where it was. Don't forget to eat plenty of green leafy vegetables and carrots too.